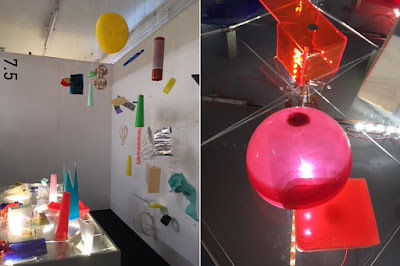 Not Thackeray’s Vanity Fair ‘Where everyone is striving for what is not worth having’ but the 2018 London Design Fair, Spitalfields, which we (the MoDiP Team) attended recently. On the contrary, designers from every corner of the globe, were striving for what is absolutely worth having, with sustainability, practicality and incredible design very much on the agenda. Roll up, roll up – pick a piece of floating plastic from the air and light up the night. #1minuteLamp ‘empowers the creativity of every individual’ to build a lamp using discarded plastics to make something both useful and show-stopping, in an instant. 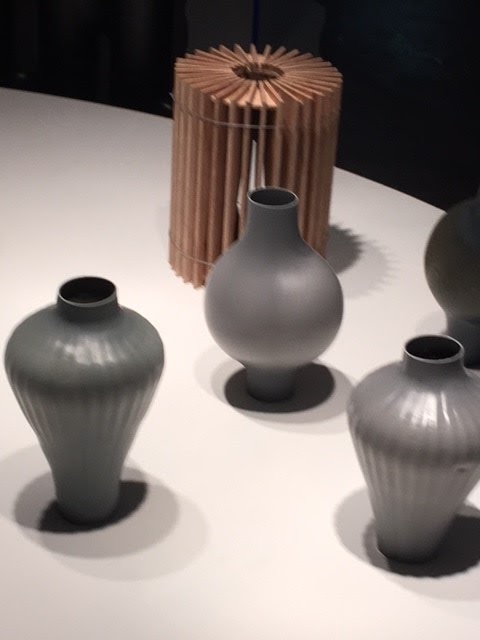 Fire-eaters, forget it – this man from Japan can blow upcycled and cheaply acquired, plastic pipes and create priceless, stunning Amphorae vases before your very eyes. 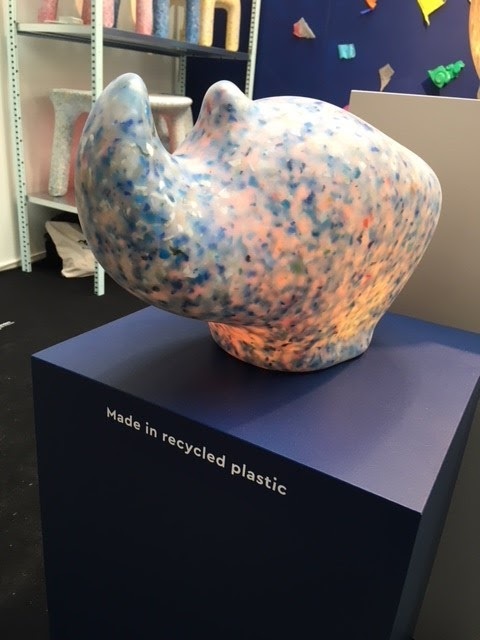 Rare and near to extinction animals have their own side-show here – but ‘no animals were harmed’ having been fashioned from recycled plastics with a message of vulnerability for their species thrown in for free. They are in fact, items of children’s toys that have incredible beauty and form, due to the mottled appearance and textured properties of the material. Where else on earth can deliver such wonder, such thought, such clever design in plastics? You could try a visit to MoDiP of course www.modip.ac.uk but to give you a taste of the future as seen by a diversity of designers, then I would encourage you to next year, take a trip to the fair. Please email me at jpulman@aub.ac.uk to book a visit to MoDiP, or to find out how our collection of 14,000+ items, can inspire you and challenge the way you think about plastics. To Bake or not to Bake, that is the Question?